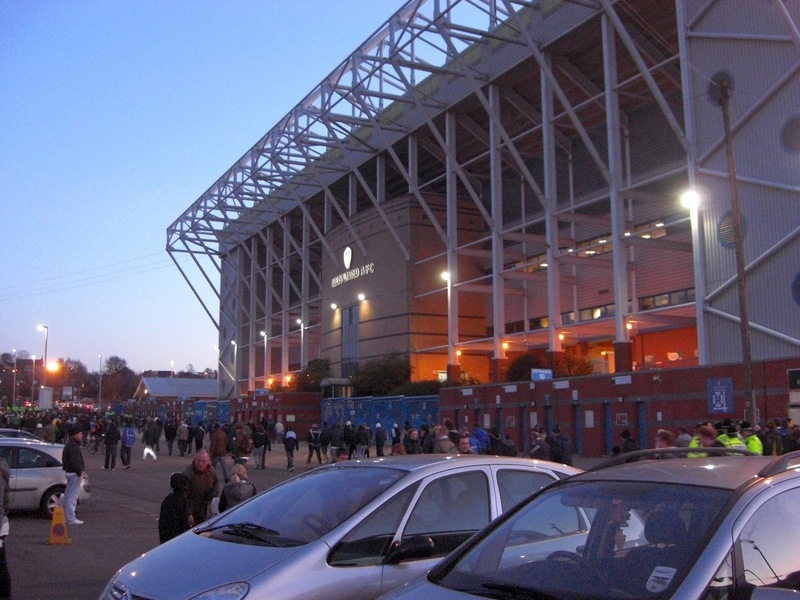 Elland Road is located on the edge of a business park in the Beestons area of the city around 2.5 miles from Leeds city centre. 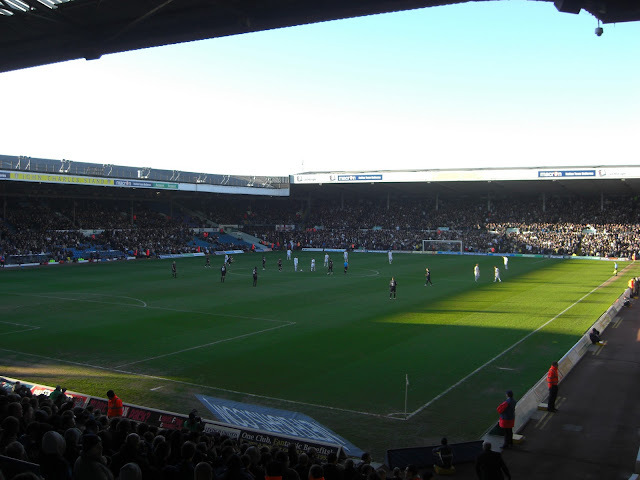 The stadium was built in 1897 and has been home to Leeds United since 1919. As my mothers's side of the family are from Leeds I have visited Elland Road on several occasions. My first game at the ground was on 26th August 1997 when I saw Leeds United lose 2-0 to Liverpool in a Premier League match. 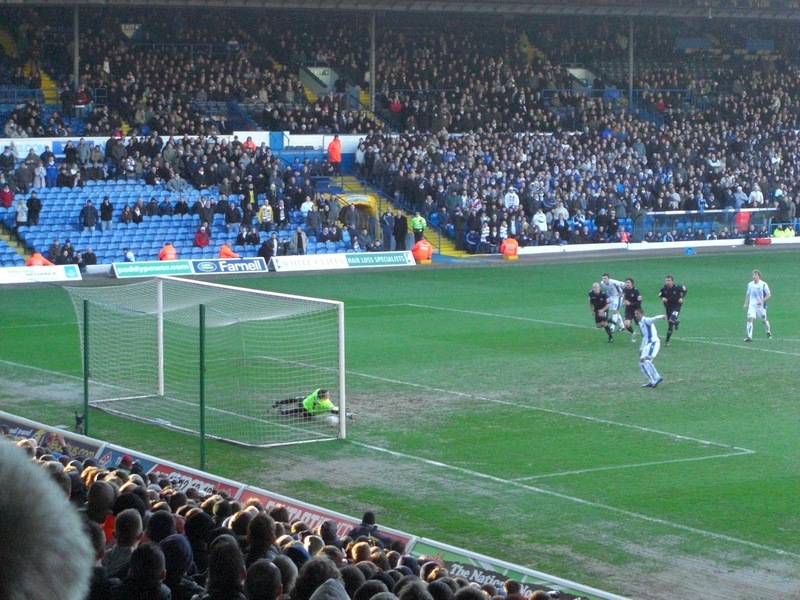 The photographs in this post are from a visit to watch Leeds United beat Colchester United 2-0 on 30th January 2010. The stadium has undergone numerous renovations over the years and has a current capacity of around 39,000. The East Stand, built in 1992, towers over the rest of the venue and is comfortably the largest stand in the ground. This two-tiered structure can hold just over 15,000 fans, nearly 40% of the total stadium capacity. Opposite this on the west side of the venue is the John Charles Stand which seats 11,000 fans. This is the oldest stand in the ground though the facilities contained in it have been refurbished as recently as September 2011. The remaining stands are the two stands behind the goals - the Don Revie Stand and the South Stand. 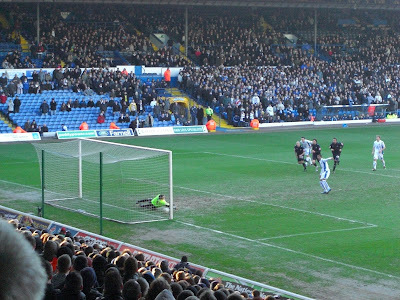 The Don Revie Stand, on the north side of the ground, has a capacity of around 7,000 and is connected to the East Stand and John Charles Stand with quadrants in the corners. The South Stand is also attached to the East Stand and John Charles Stand with quadrants in the corners, but is the smallest in the ground with room for approximately 5,000 fans. Leeds United's financial problems and fall down the leagues put any thoughts of further capacity increases to the back-burner though with the club's fanbase a return to the Premier League may alter this.